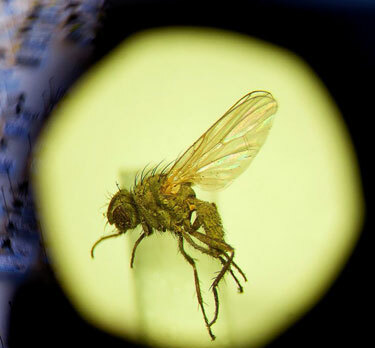 In a remote part of Northern Scotland, the development of a shore-side world-class golf course that might provide a great deal of local employment is being blocked by “conservationists” fighting to preserve the supposed habitat of Fonseca’s Seed Fly, Botanophila fonsecai, a species, one of 110,000 in the world and one of more than 7000 in the UK, discovered in the 1960s, and differentiable only by a close examination of the insect’s genitalia under a microscope. The developers have spent the last two years modifying their plans so as to minimize the golf course’s environmental impact in hope that the local Council in authority will be placated. Today’s world is mad, and the insane environmentalist religion is one leading source of the madness. At the PGA Championship Tour in Atlanta, but he still makes par. the Archives of Never Yet Melted in the 'Golf' Category.